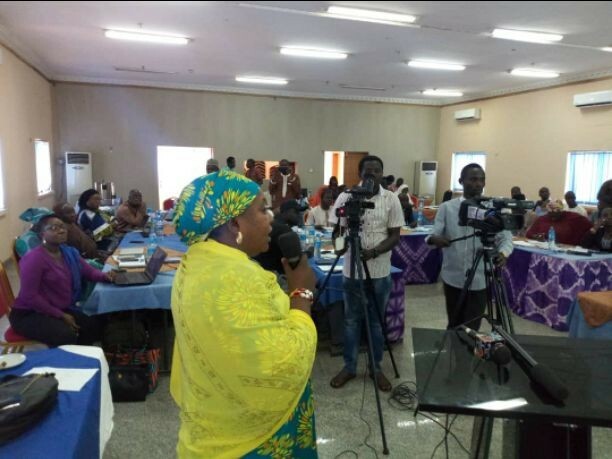 Ahead of 2019 elections, coalition of interested non-governmental organizations under the name Stop Violence Against Women in Politics has sought the support of critical actors in politics to create fair space and protect interested female politicians in the country especially in Kaduna state. Some of these actors include but not limited to Independent National Electoral Commission (INEC), National Orientation Agency (NOA), Nigeria Police Force (NPF) and political parties. As at today, there is no single woman in Kaduna State House of Assembly, a development that ignores gender sensitivity. Speaking during a courtesy call on NOA, Kaduna office, Executive Director, Legal Awareness for Nigeria Women LEADS-Nigeria, Barrister Rebecca Sako-John called on Director General of NOA, Galadima Zubairu Soba to work with the body in order to support all the women who are contesting in various party to have a free and fair election comes 2019. She appeal to the Director not to relent but provide vital information when necessary for prompt response as the group is made up of credible bodies from different stakeholders in the state. Reacting, the Director appreciated the visiting team for prompt action on women in politics which he said, came at the right time. “This organization is right on time and I am very sure we will get it right with the great team involved. “Even religious leaders and traditional rulers have no choice but to sign the form for me as members in the national, state and local governments members and I want to assure you that, we are sharing similar mandate”, he shared.